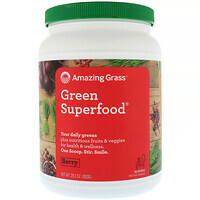 Our Story...Amazing Grass is grown and harvested in the good ol' United States of America, on a family-run farm, in Kansas to be exact, where we're dedicated to creating the best Organic Green Superfoods, made from the finest ingredients on the face of the earth. We believe in the incredible power of nutrition, leaving this world better off than how we found it, and above all, sharing the happiness of Amazing Grass with our customers. Amazing Grass Berry Green Superfood is Packed full with nature's most nourishing, cleansing and potent superfoods and infused with a combination of antioxidant-rich and carotenoid filled organic Goji and Acai berries. Each and every serving delivers a powerful dose of whole food nutrition your body craves, with a delicious berry flavor you'll love. Taste buds rejoice. Supports overall health and wellness. Supports alkaline balance & healthy immune function. 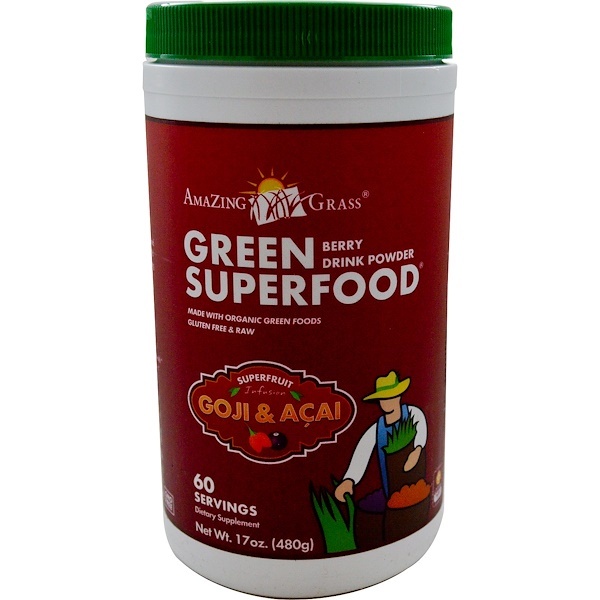 Includes a probiotic and enzyme blend to support digestive health. 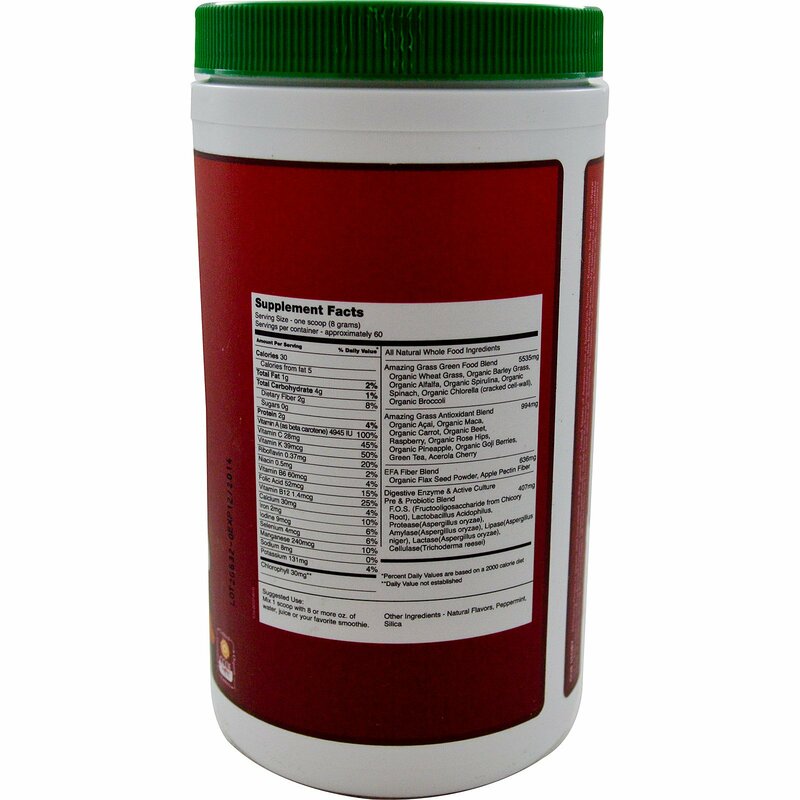 Helps you achieve your 5 to 9 serving of fruits and vegetables.